London: Marcus Ward, (for 1881). 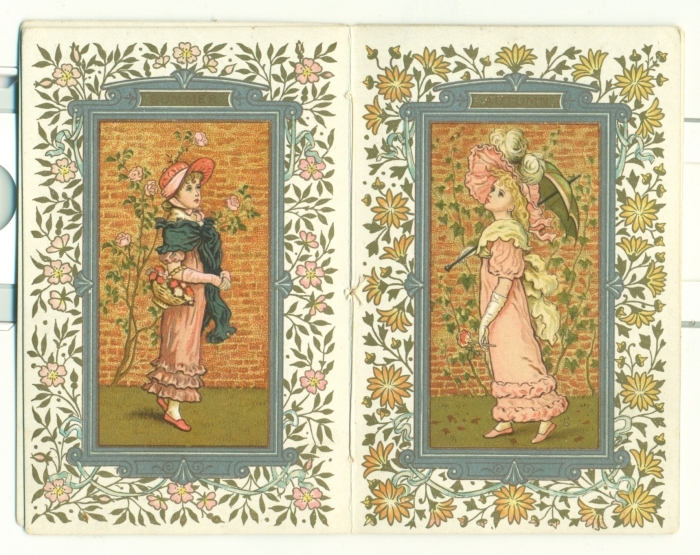 16mo., original chromolithograph cards, (8)pp. including covers. With four unsigned illustrations by Kate Greenaway. 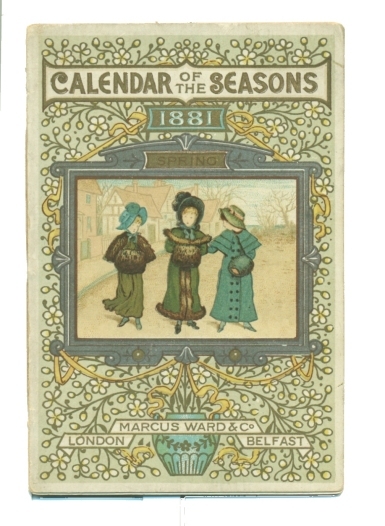 A fine copy of this pretty calendar.